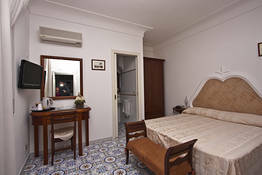 Rooms have been individually designed by the family in a typical Anacapri style, with ceramic floors and ceiling trimmings and are equipped with: MiniFridge, Safety Deposit Box, Telephone, Air Conditioning, Bathroom Amenities, Bathroom with Shower, Heating, LCD Flat-screen TV, Tiled floor, Tea/Coffee Maker, Hairdryer, Wake Up Service/, Work Desk, Mosquito Net, WiFi/Lan Access ADSL Speed, Towel Beach (only in High Season). 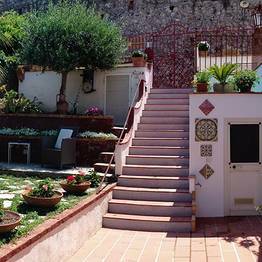 A typical island home lovingly transformed so as to provide charming holiday accommodation, the Mediterraneo is a small, family-run guest house situated right next to Anacapri's Piazza Vittoria, the busy square in the vicinity of which the majority of the town's shops and tourist attractions can be found. 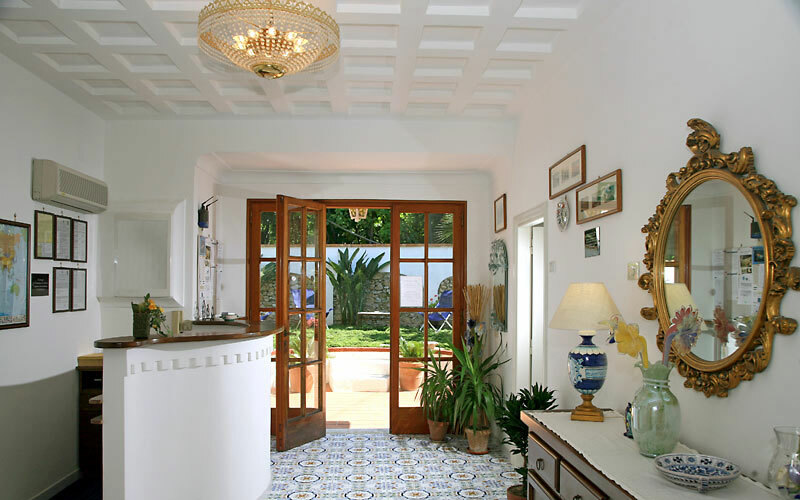 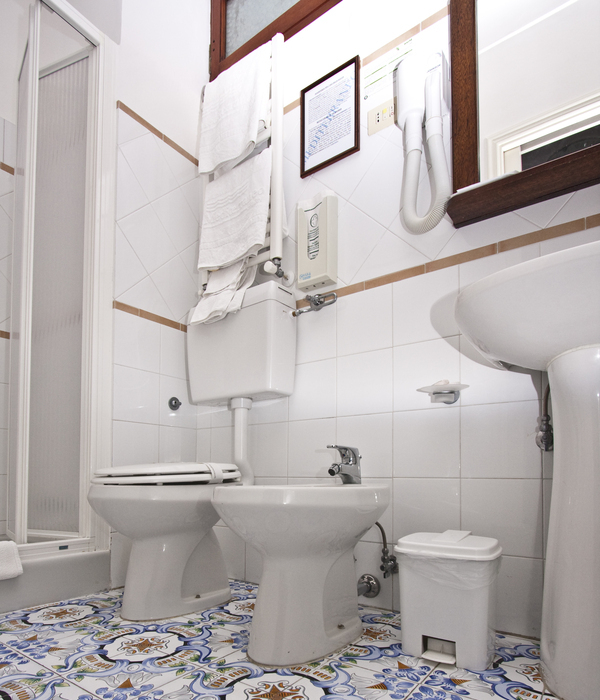 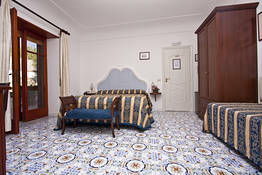 The guest house's comfortable bedrooms are furnished in traditional island style, with colourful majolica floor tiles and ornate stucco work. 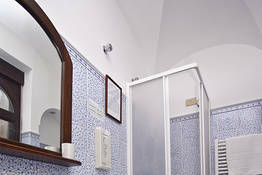 Air conditioning and wi-fi internet connection are standard amenities. 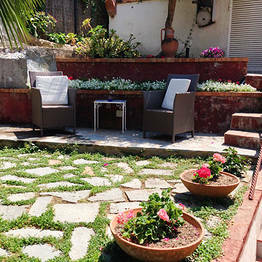 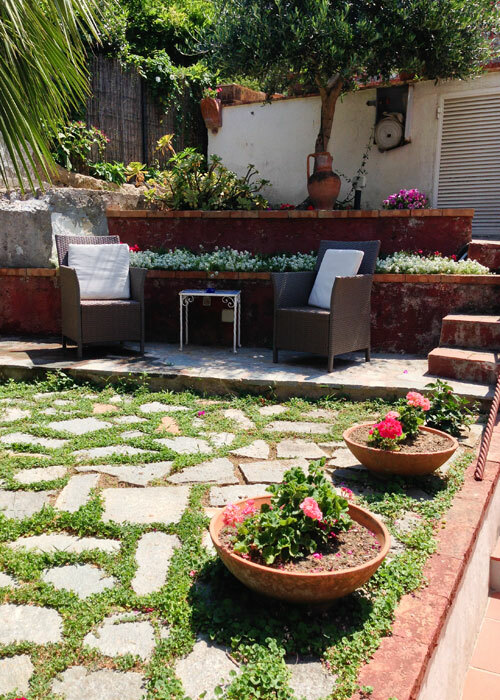 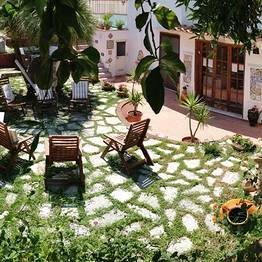 Mediterraneo's beautifully kept garden is the perfect spot where to relax and enjoy the sunshine. 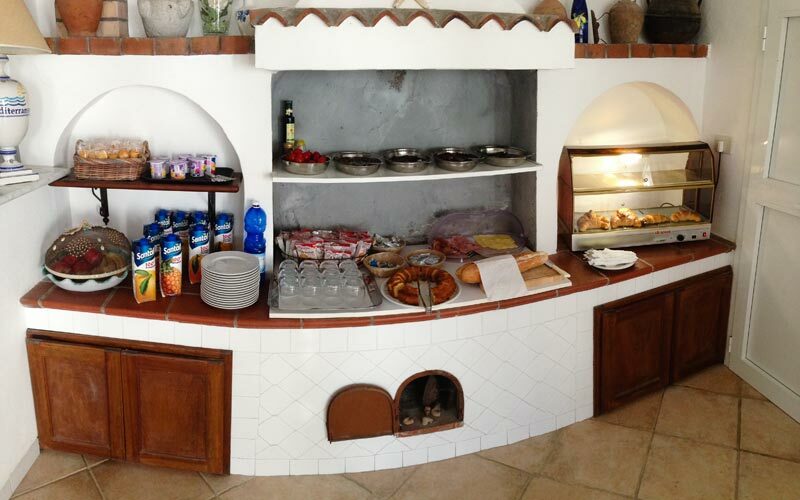 A snack bar is situated in the breakfast room. 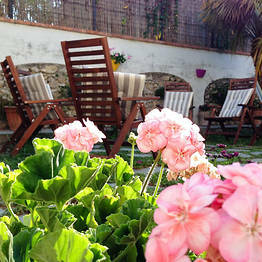 During the warm summer months, breakfast is served outside, on the terrace: you will choose also among gluten-free products. 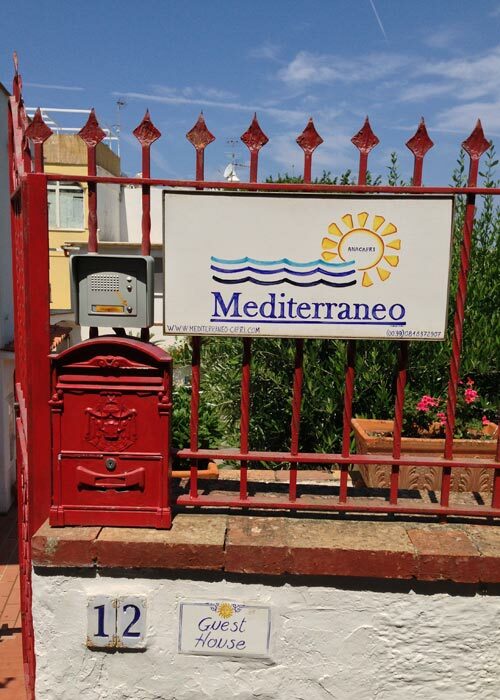 The Schettino family will be pleased to arrange boat rentals, excursions and transfers, and supply guests with every genre of useful insider information concerning the island. 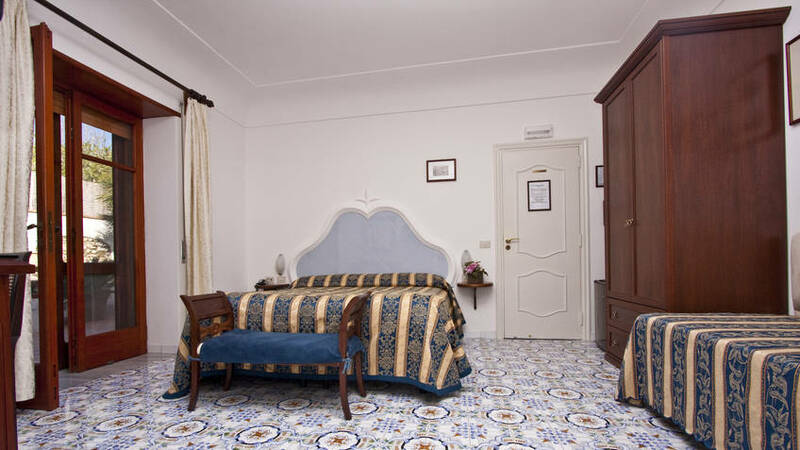 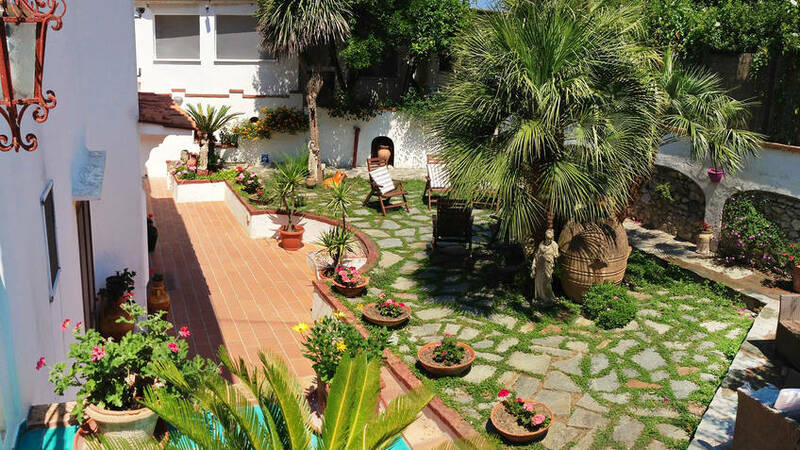 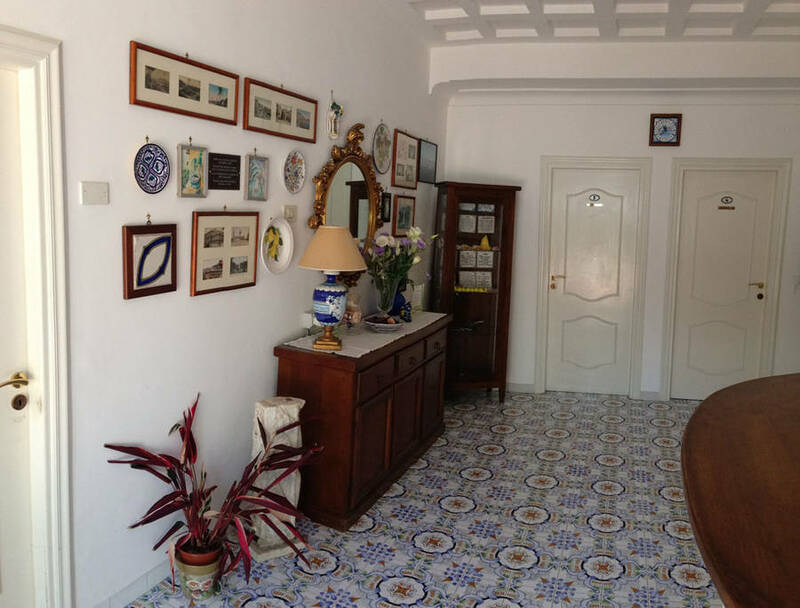 "The B&B is located in a quiet residential area, close to the center of Anacapri and just two minutes away from the bus stop. " 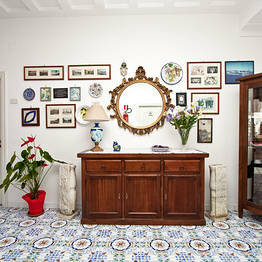 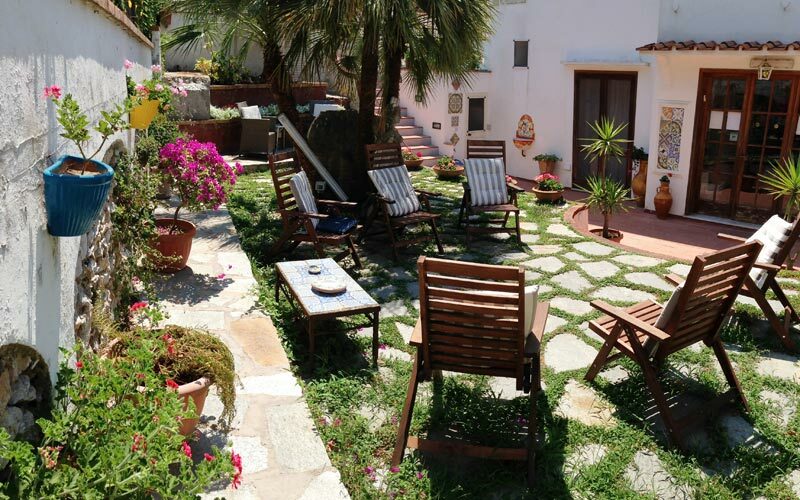 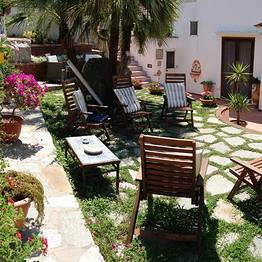 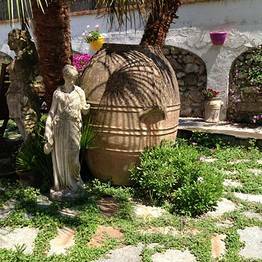 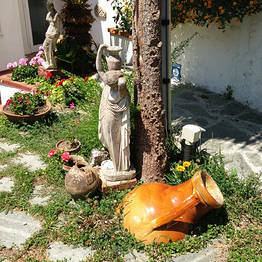 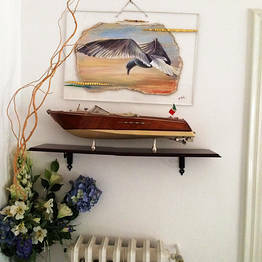 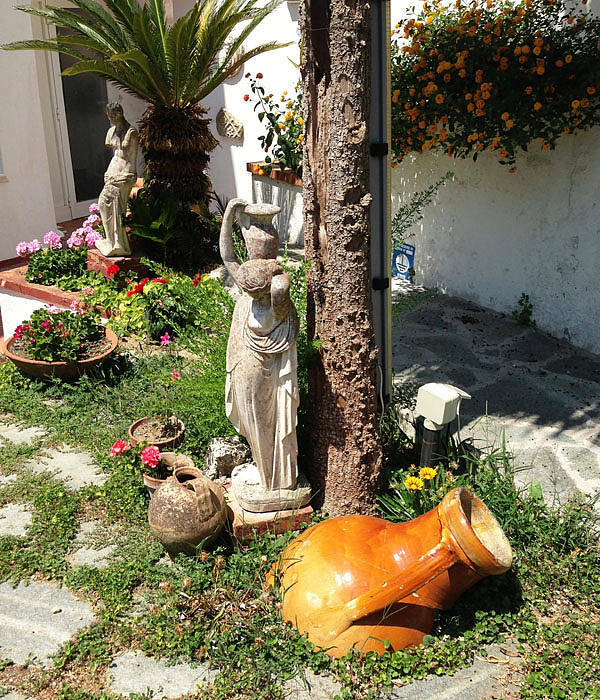 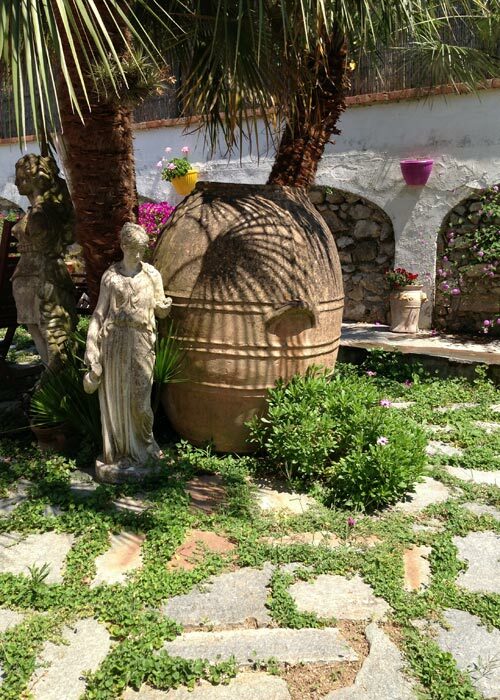 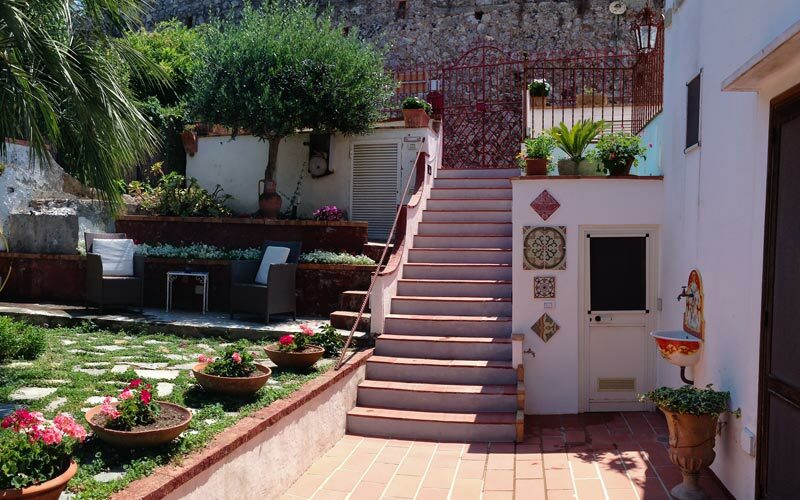 "The B&B has a delightful little garden in which to relax after a day spent exploring Capri and Anacapri. " 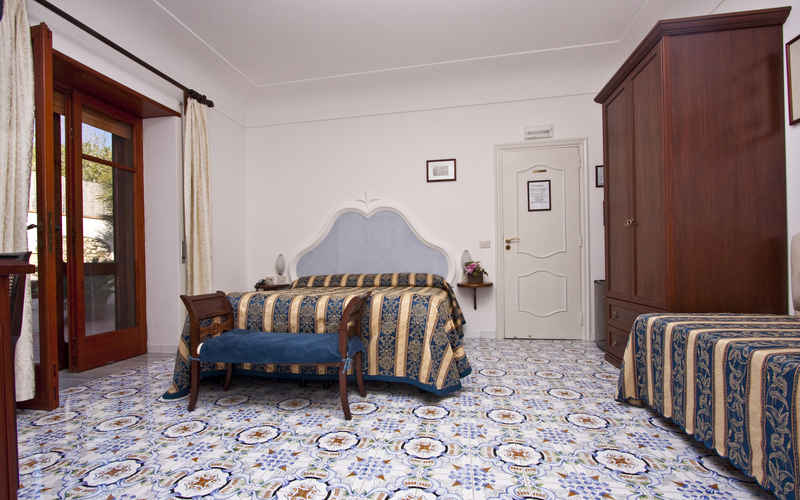 "Gianluca, the owner, couldn't have been more helpful. 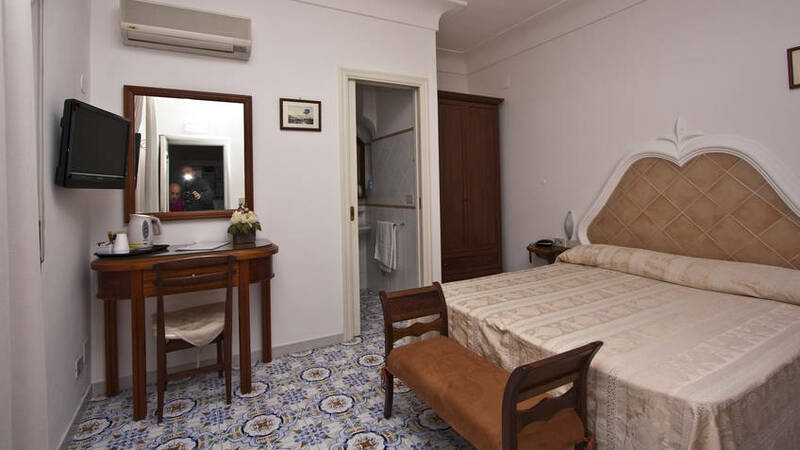 He gave us loads of precious insider information about Capri, including details of the lesser known tourist attractions." 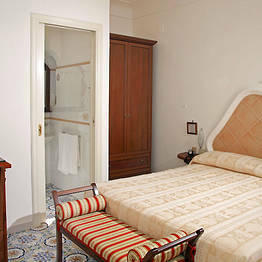 "Bedrooms are large and simply, but tastefully furnished. 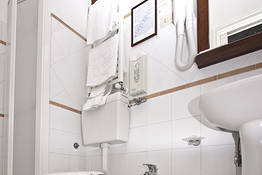 The place is spotlessly clean and you really feel at home. " 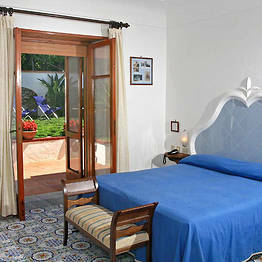 "Very nice room even if there was any view from it. 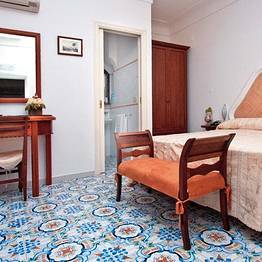 The room was big and clean with a fridge.The owner is very helpful, he told us about a wonderful walk from Capri to the Coast. " 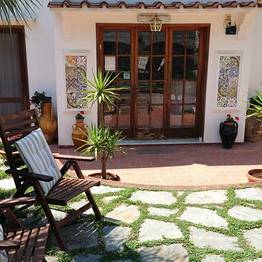 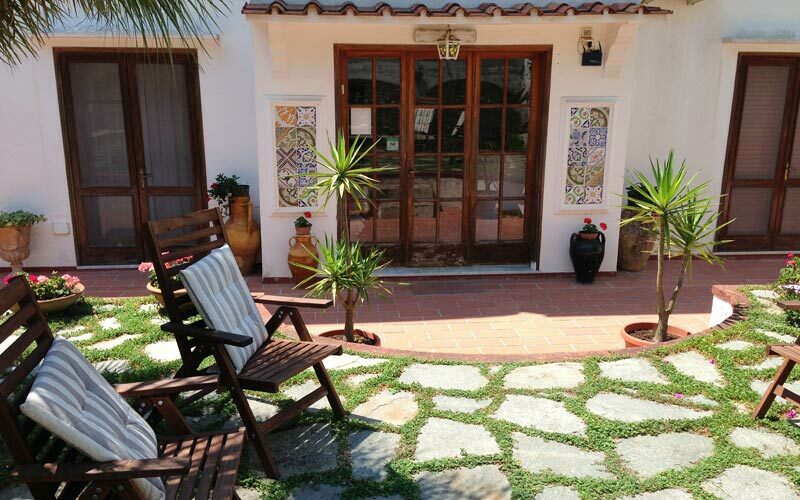 "Great value for money: new and extremely clean, the property occupies an excellent location which is central yet peaceful." 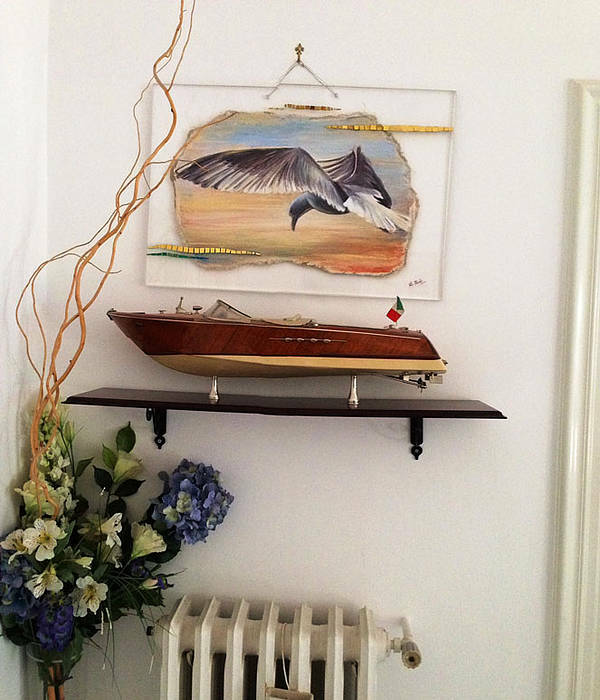 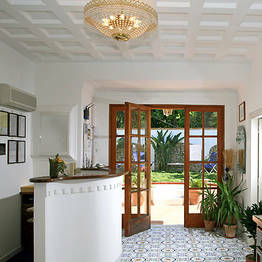 "As a small guest house, every little detail was tough to make you feel at home. 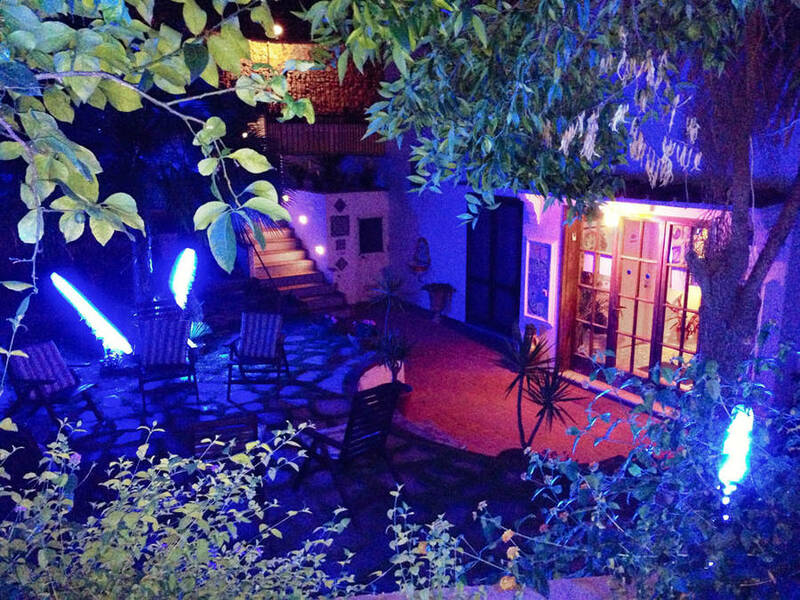 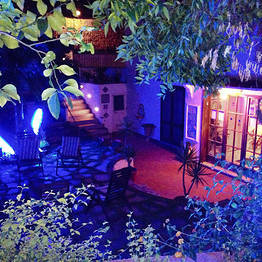 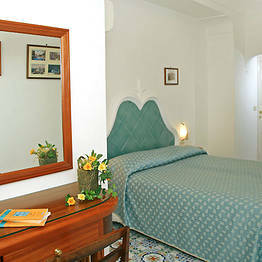 I am glad to recommend Mediterraneo Guest House and share my experiences with the future guests." 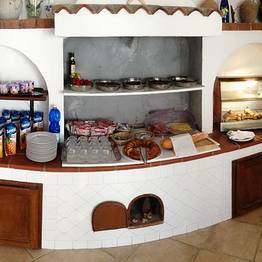 "The breakfast is excellent: whereas in a lot of Italian hotels you just get coffee and a pastry, here you also get cereals, yogurt, and plenty of fresh fruit." 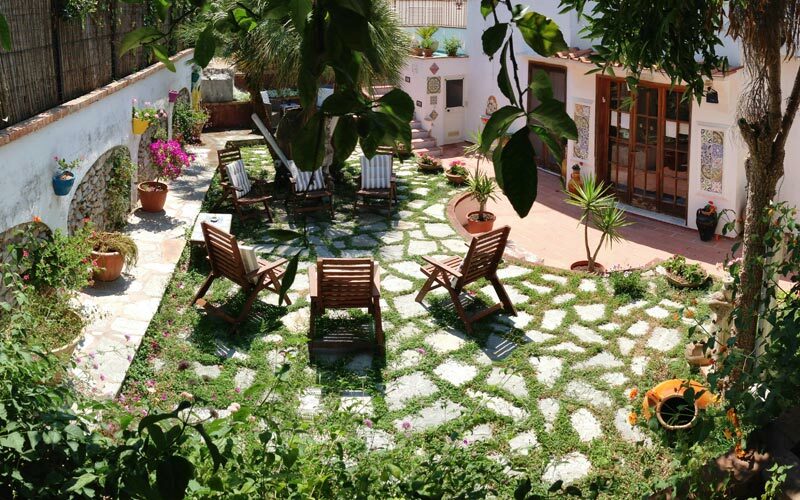 "We loved it because it was close to everything but at the same time far enough away from the crowds and tourists so we could have our own quiet peaceful vacation." 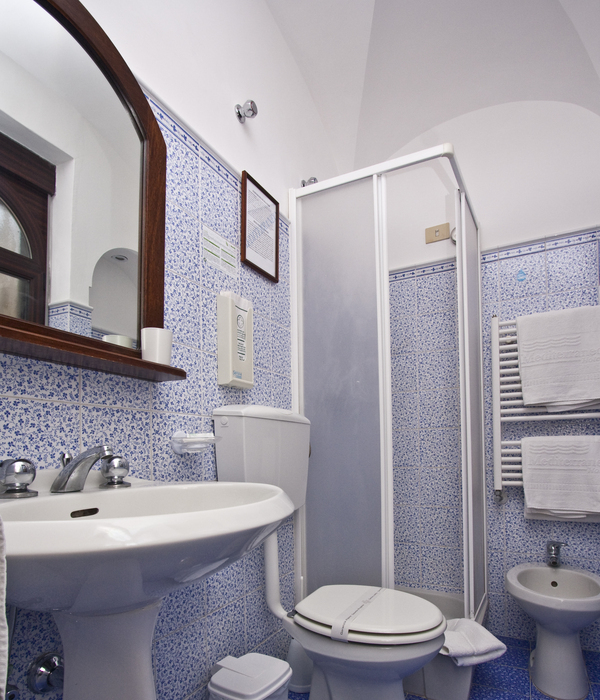 "Our bedroom and bath combined were larger than the apartment we rented in Rome! 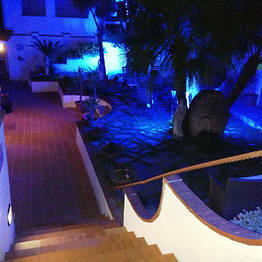 Once we figured out the shortcut to Piazza Diaz we felt very close to the center of things." 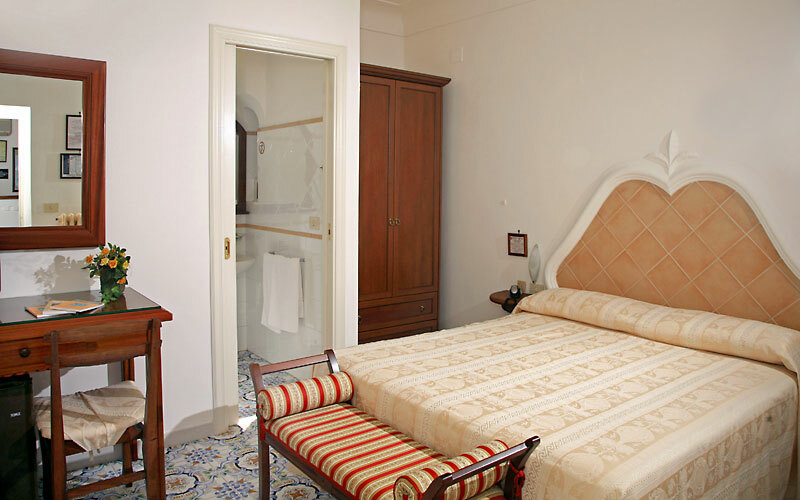 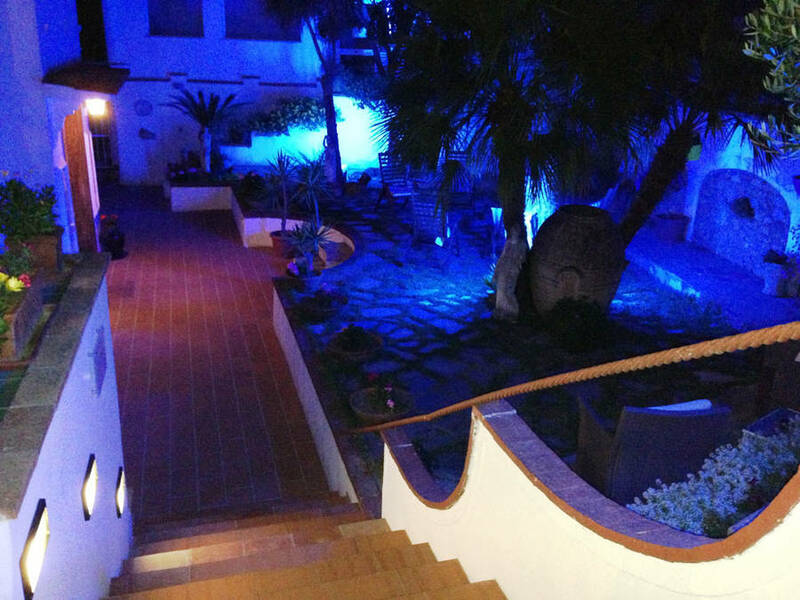 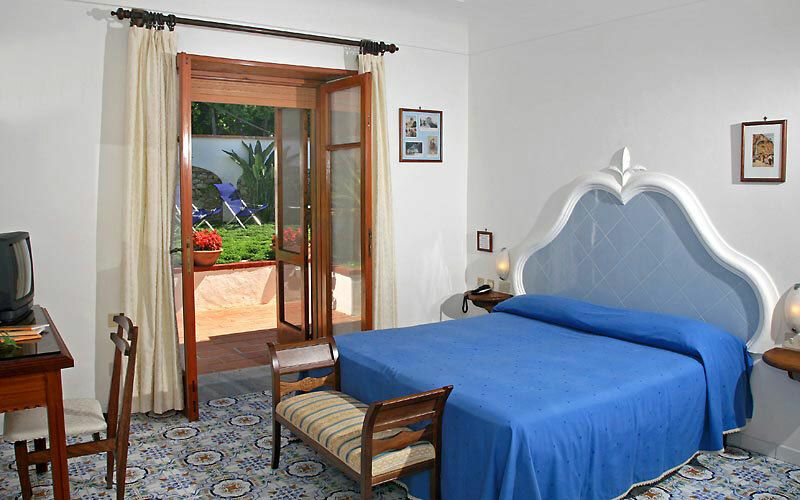 "We had a pleasant stay at the Mediterraneo. 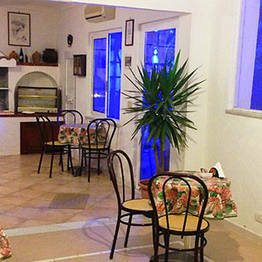 The owner was very helpful in suggesting places to eat, and what to see that were good for the budget conscious. " 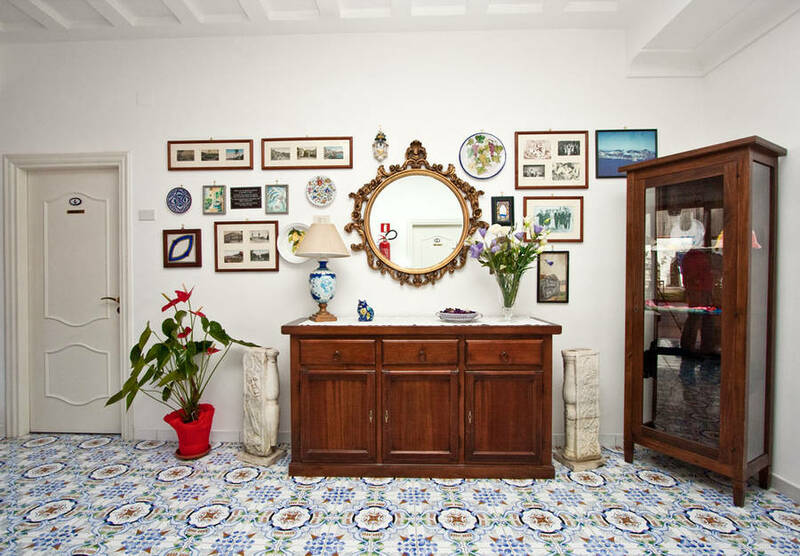 "It was the best breakfast we had in all of our stays in Italy. 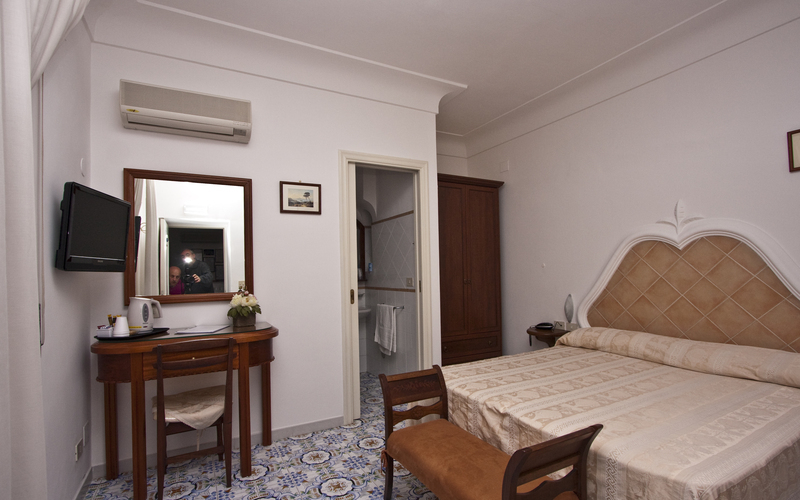 Also, Gian Luca gave us invaluable advice about travel to Naples." 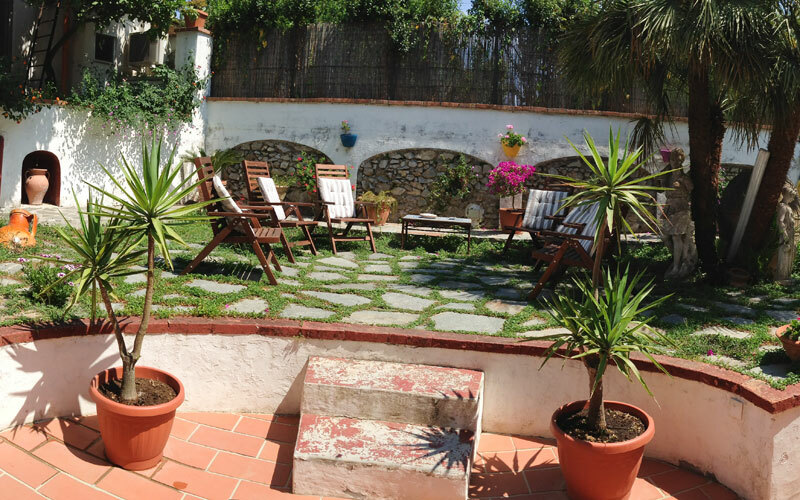 "We were given some excellent information about the area even though we only had one night stay." 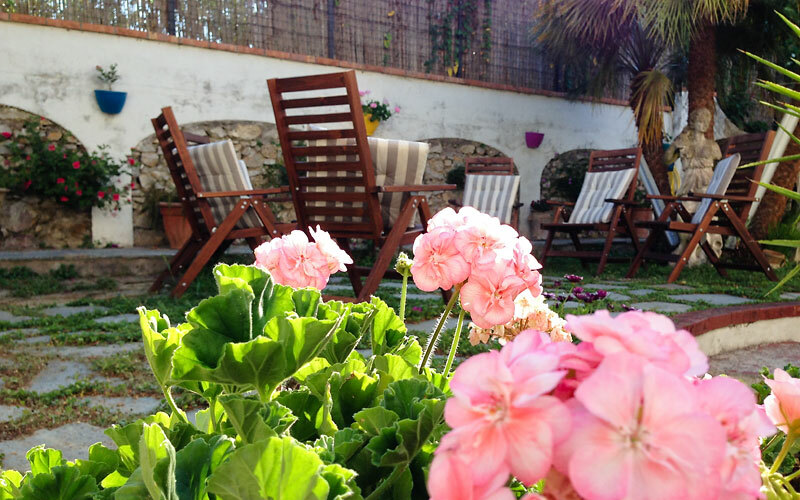 "Really enjoyed our 2 week stay at this B & B." 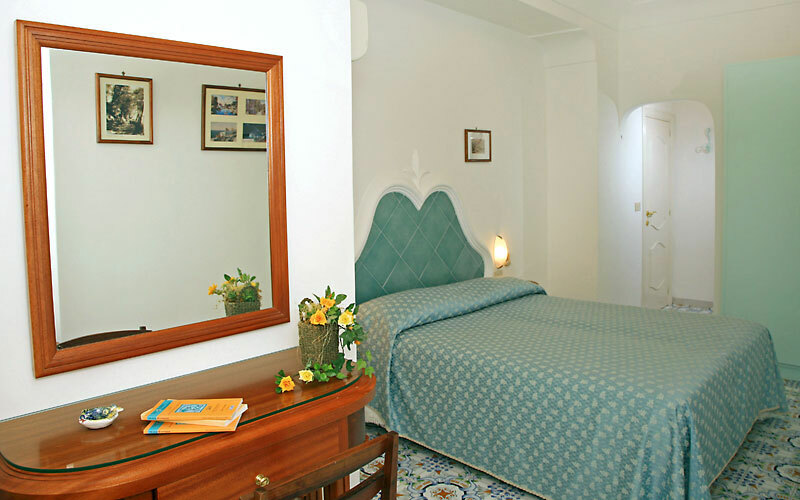 Just a few meters away from Anacapri's central Piazza Vittoria, Guest House Mediterraneo lies within easy walking distance of the Monte Solaro chair lift, the Villa San Michele Museum, the picturesque shops of the historic center and the Church of San Michele. 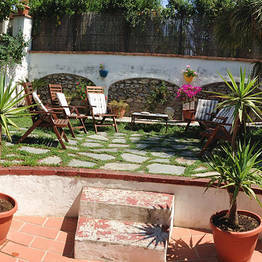 The guest house is situated right at the start of the pathway which leads to the Belvedere della Migliera. 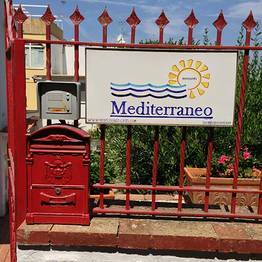 The main taxi stand and the bus stop, from where to catch buses heading to the Grotta Azzurra, the lighthouse (Faro), the Piazzetta of Capri, the beach of Marina Piccola and the port, are both close by. 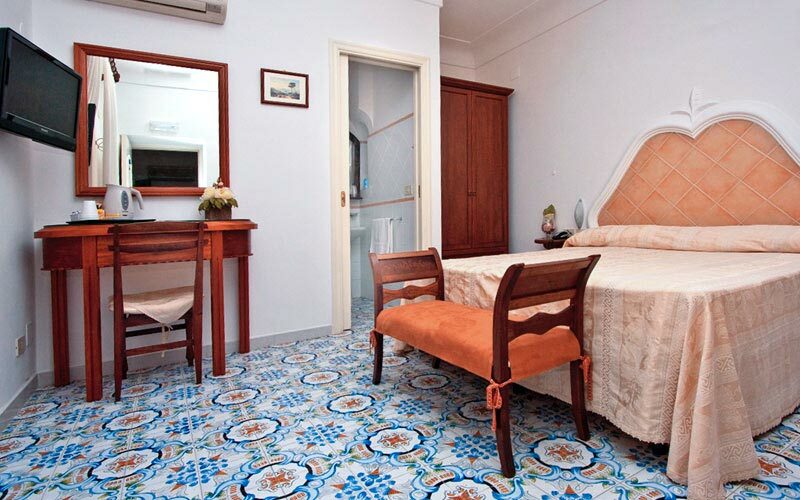 Book Hotel Mediterraneo on Capri.net now with no additional booking fees.